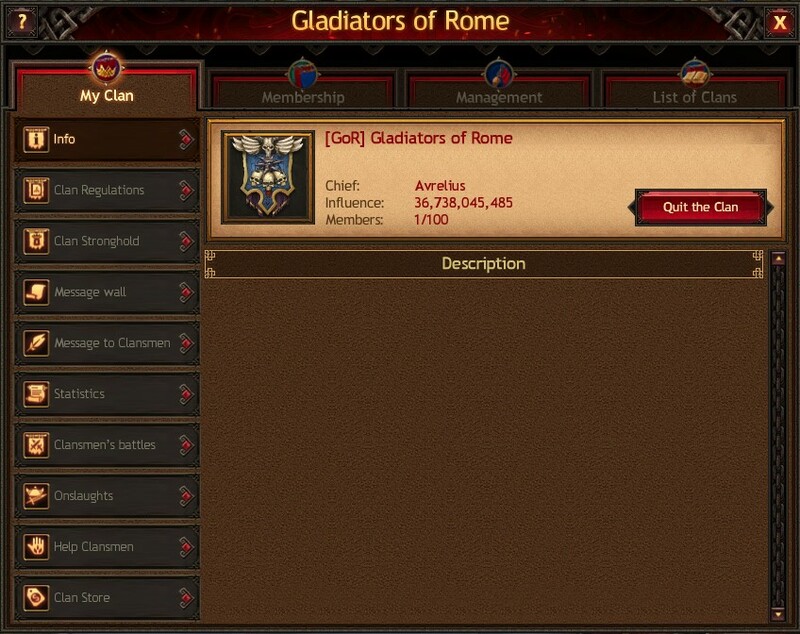 A player may create their own Clan and become its Chief. To do so, they must not be a member of any other existing Clans. Click Clan and select “Create Clan”. Then you need to choose a full and short name for your union and its Shield. 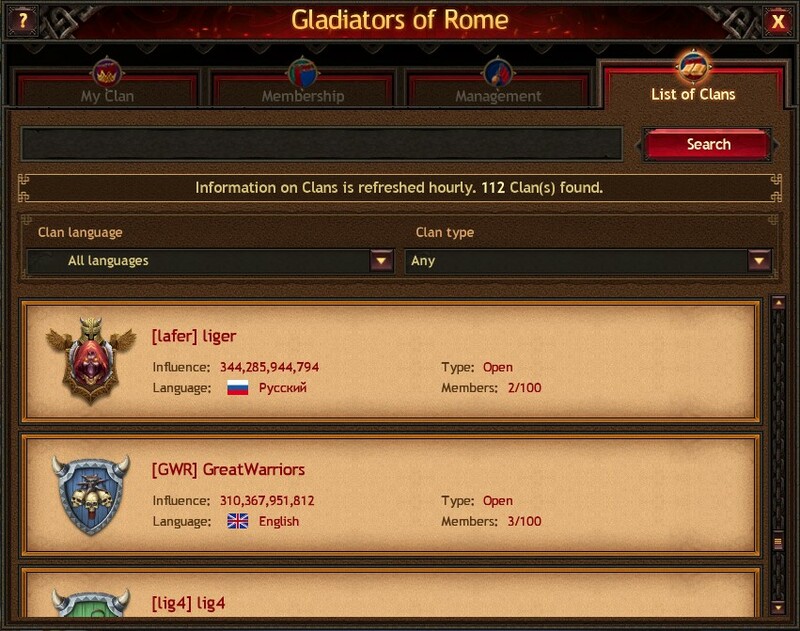 After you have created your Clan, you may choose the type of admission (open or regulated). 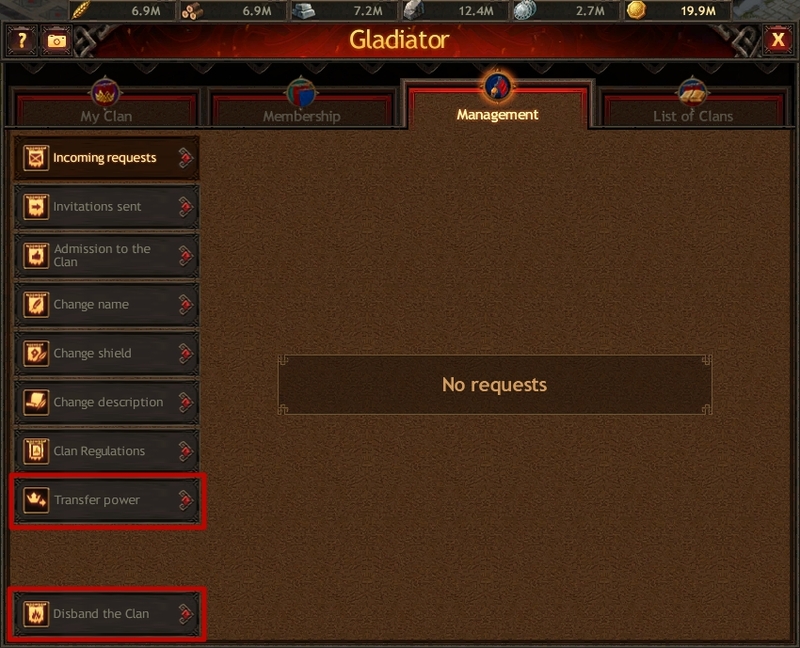 In addition, the “Management” tab allows you to delegate your powers to another Clan member. By delegating your power to another clansman, you can avoid disbanding the Clan.